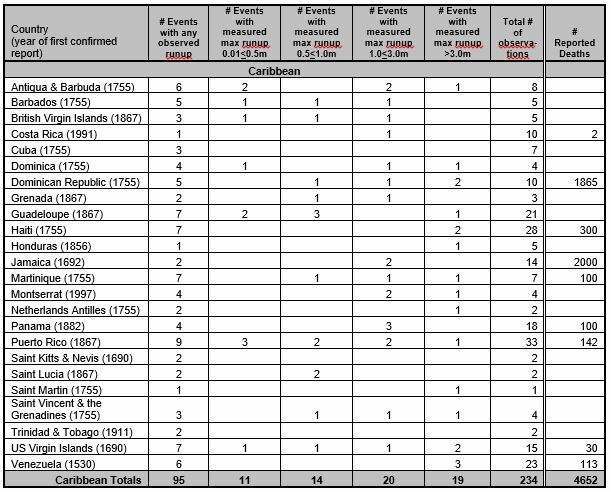 In the past 500 years, more than 75 tsunamis have been documented in the Caribbean and adjacent regions. Since 1842, 3446 people are reported to have perished to these killer waves. 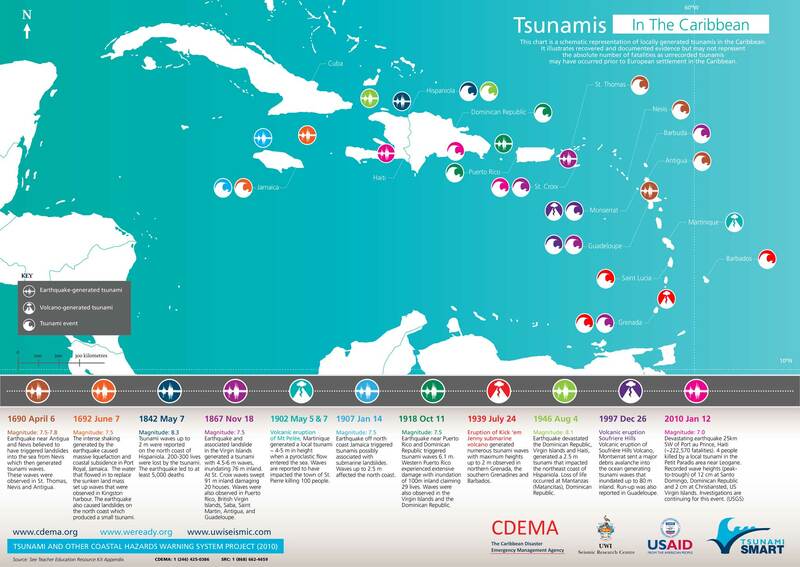 The tsunami generated by the 2010 Haiti earthquake claimed several lives, but the most recent devastating events were the 1946 tsunamis of the Dominican Republic, with at least 1800 victims. 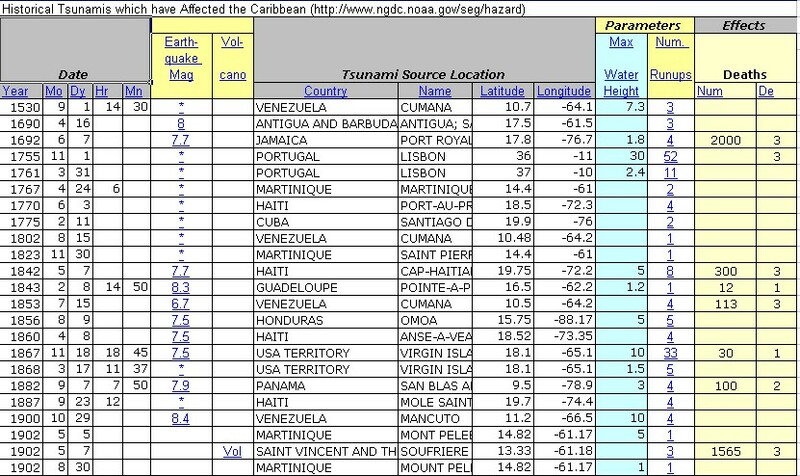 Map of tsunami sources with runups in the Caribbean and Adjacent Regions. Adapted from von Hillebrandt-Andrade, Christa, 2013. 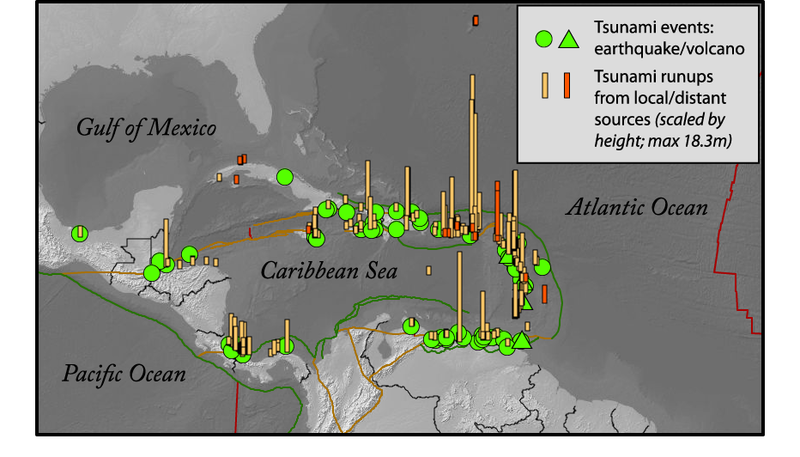 Minimizing Caribbean Tsunami Risk, Science, Vol. 341pp. 966-968. Original event data from National Geophysical Data Center / World Data Service (NGDC/WDS): Global Historical Tsunami Database. National Geophysical Data Center, NOAA. doi:10.7289/V5PN93H7 [March 2013].